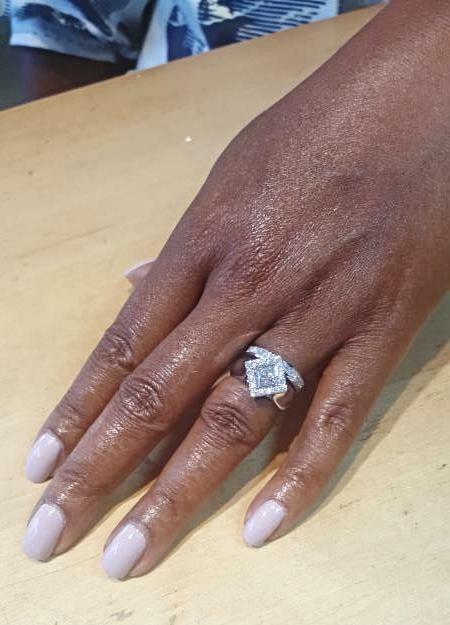 Here at Takohl, we love helping couples celebrate their anniversary by updating their existing engagement and wedding rings to match their current personal sense of style. 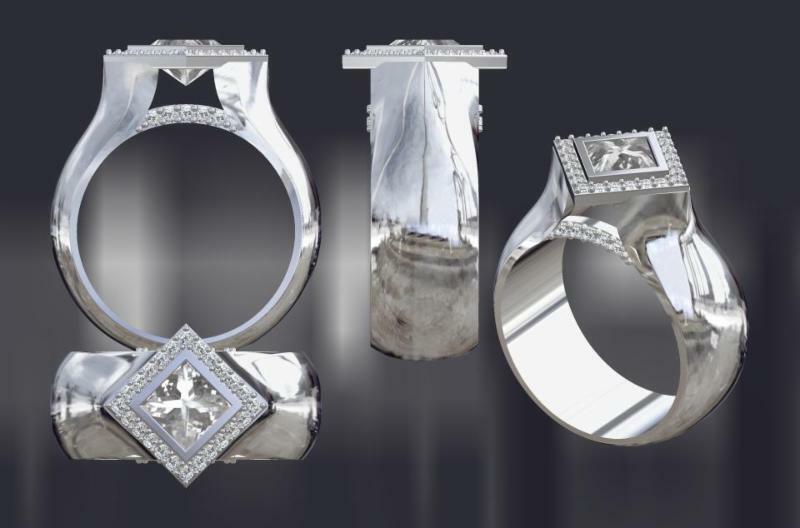 The original engagement ring with a .73pt princess cut diamond and multiple long baguette diamonds. After collaborating over pencil drawings, we decided to save the baguettes for a necklace for her daughter and build a modern setting utilizing the center diamond with the goal of increasing the visual size of their diamond. 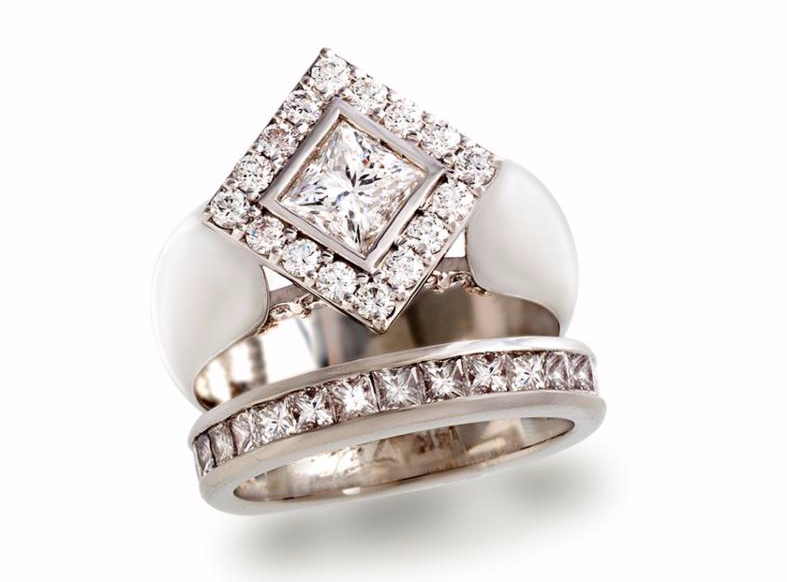 The new design changes the orientation of the diamond, with a halo going around it on a wide tapered band. We built the bezel high with a diamond bridge underneath to rest on the finger. This lets lots of light into the setting. This also makes it easy to clean so your diamonds always look their absolute best. 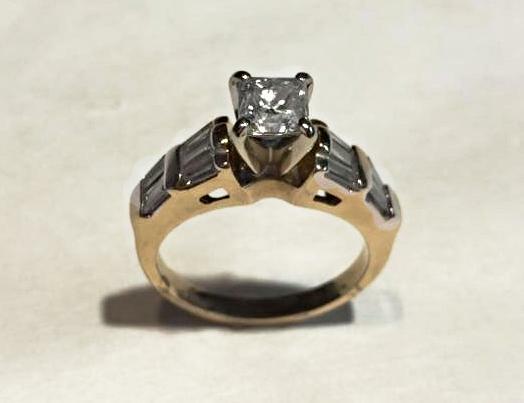 With our REGEMERATION process, we love keeping the sentimental gems and adding a few fresh ones to complete the look. See how much larger the center diamond now appears!